I am so relieved and excited to finally be here! It feels like I’ve been pregnant forever. But now it’s all coming to an end very soon and there will be a whole new set of joys and challenges in this new season of my life. Ahhhh! So exciting! Jack could be here in as soon as a week or it could be another five weeks from now. Only time (and my doctor) will tell, but I’m ready. Mostly. My bags aren’t packed and my freezer is empty, but all the logistics of actually caring for a teeny tiny person are in place and that’s what really matters, I think. Those of you who have done this before, what do you think I should be doing to get ready? For me it was important to have all his stuff organized so I could see what I had and, later on, find what I’m looking for easily. But I have no idea what I’ve gotten myself into here. Maybe I’ll be kicking myself for not cooking more later, but since Nick does most of the cooking already I figured it wasn’t a big deal. Can you believe how much my belly has grown since the first picture I posted back in January? At the time I thought my little bump was soooo noticeable and, to be fair, I was starting to have a really hard time hiding it at work, but looking back now I’m amazed at how tiny I was! That “maternity” top doesn’t even cover my belly anymore. Tell me I’ll be that small again soon! I’m tired of having every little movement be such a chore. Oh, to walk effortlessly with nary a waddle…a girl can dream. I’ve got big plans to stock up some posts in advance to keep things interesting around here during those first few weeks, but I haven’t actually gotten started yet so hopefully I will have some ready to publish by the time the baby comes! If not, I know y’all will understand. And of course I’ll be popping in whenever I can to share updates and photographs. In the meantime I’ll just keep on keepin’ on–puttering around the house, getting plenty of rest, and blogging every day while I wait for this baby. Charlotte, I know you are so ready to meet little Jack, but just try to focus on the fact that every day that he spends in your belly, he is getting stronger. My Shelby was born at 35 weeks and we had to spend 2 weeks in the NICU. You do not want to experience that. I think if Nick cooks, you don’t need to worry so much about packing that freezer. Just make sure your favorite pajamas are clean! So excited for you! You look adorable!!! Jack will come when he wants to come. It is up to him at this point. It won’t be long and you will be able to see your toes again. You are probably as prepared as you will ever be. Just do what ever they told you to do in Lamaze or what ever prenatal classes you have taken. There is really no way to be completely prepared for a new baby. You have your ducks in order, but no matter what, your life will change in ways you didn’t expect. It’s not all serene rocking and feeding. It is wonderful, but you should expect a roller coaster ride with ups and downs. When it is over you will look back and think the ride was too short and you will be grateful. If I were you, I would have a long heart to heart with your Grandma Sandy, one of the all time great Moms. I was just blog browsing and found your site, and I laughed out loud at your title! 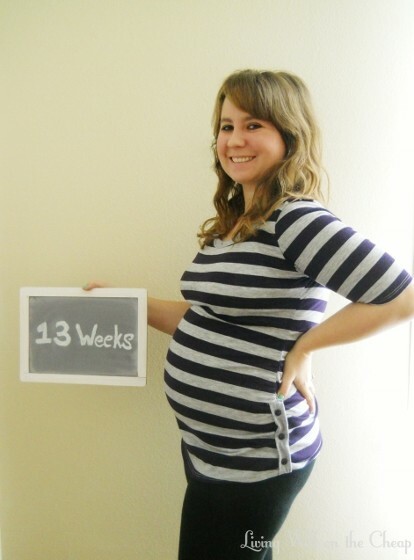 It’s been 11 years since I was pregnant, but I remember feeling a million months pregnant! Best wishes to you!